371. Modification of mangle-wheel motion. 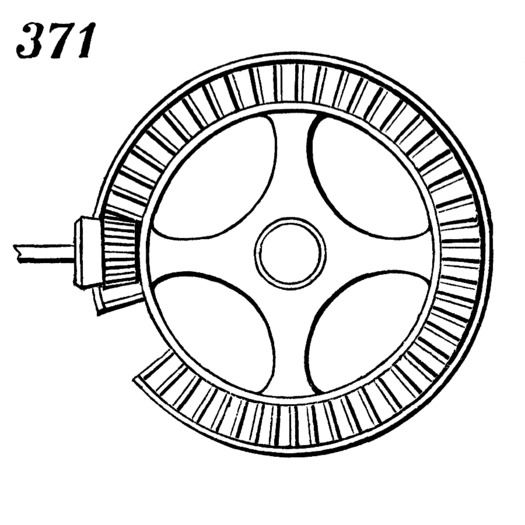 The large wheel is toothed on both faces, and an alternating circular motion is produced by the uniform revolution of the pinion, which passes from one side of the wheel to the other through an opening on the left of the figure.